Scaffolding for roof edge protection on a commercial building for a re-roof and general roof maintenance in. St. John’s, Auckland. 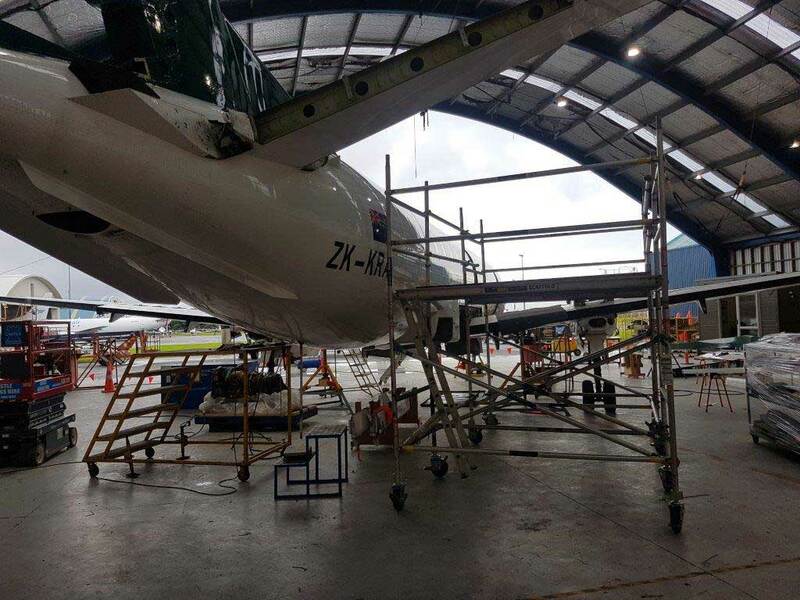 In addition to working on water and land, we also provide scaffolding solutions for things that fly! The mobile scaffold tower shown below was used to facilitate the removal of the tail of an aircraft. We get the job done, no matter what! 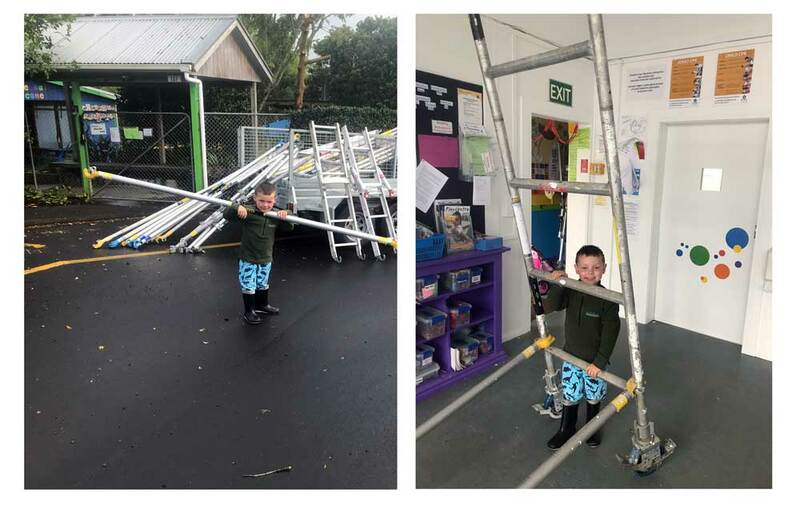 He wanted double his normal rate, a $2 bag of lollies for helping to dismantle Pukekohe East Play Centre's scaffold. Not bad for a Saturday morning! 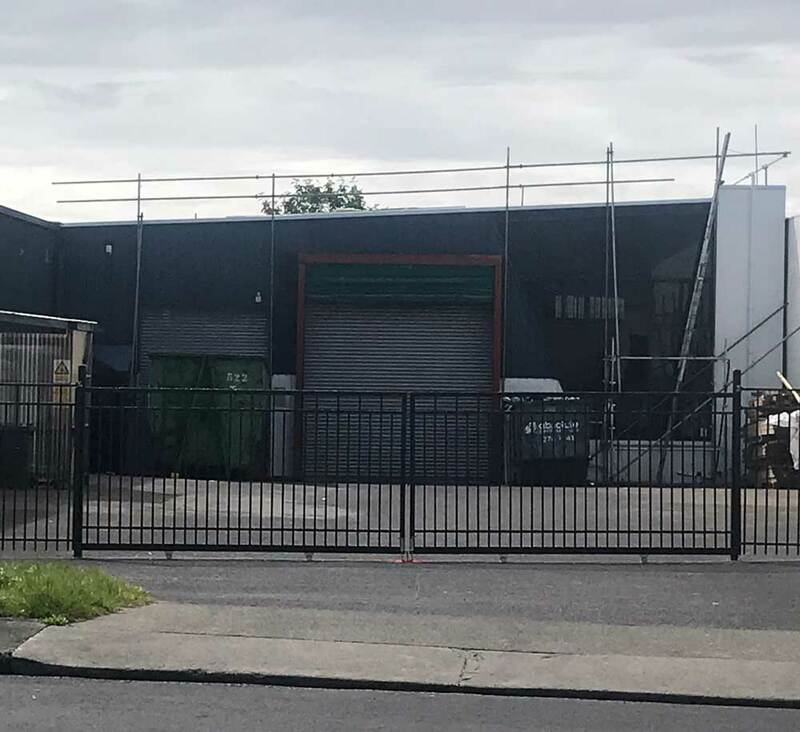 Pukekohe East Play Centre called us needing scaffolding for painting and renovations. We quickly determined that the best fit for this job would be aluminuim scaffold towers. The towers, which are available up to a height of 5 metres are ideal in as much that they are quickly assembled and disassembled and are easily moved, without damaging flooring. We used a Kwikstage heavy duty mobile tower to access the ceiling in the chapel at the North Shore Memorial Gardens Crematorium. 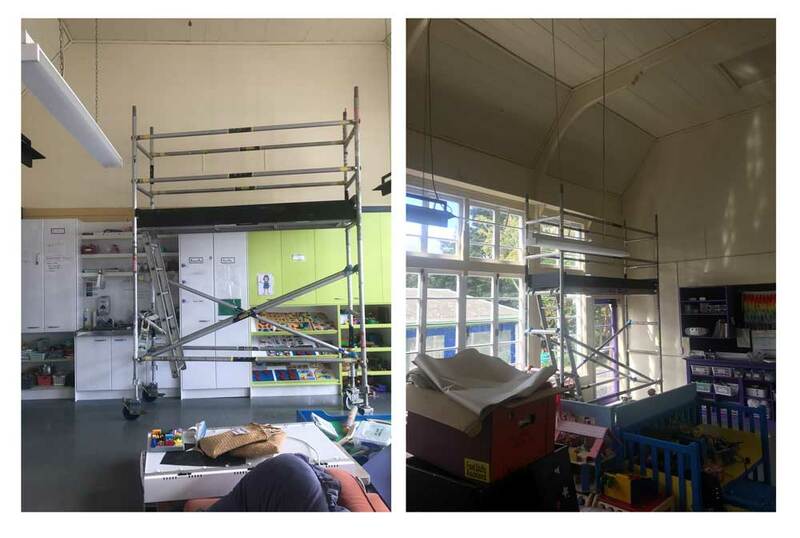 The mobile scaffold tower was to install new L E D lights and to paint.